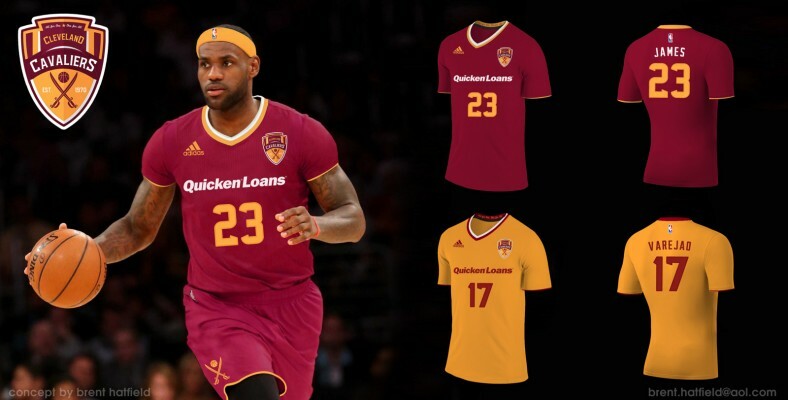 Compared to LeBron James‘ first tenure with the Cleveland Cavaliers from 2003-2010, the 2014-15 Cavs jerseys have been somewhat disappointing. Not once this season have the Cavs worn their navy blue and orange alternates or the classic gold throwbacks that Austin Carr used to wear back in his day. 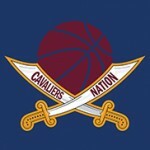 Due to this season’s atrocity, we present to you 5 Cavalier jersey concepts that need to happen in the future. 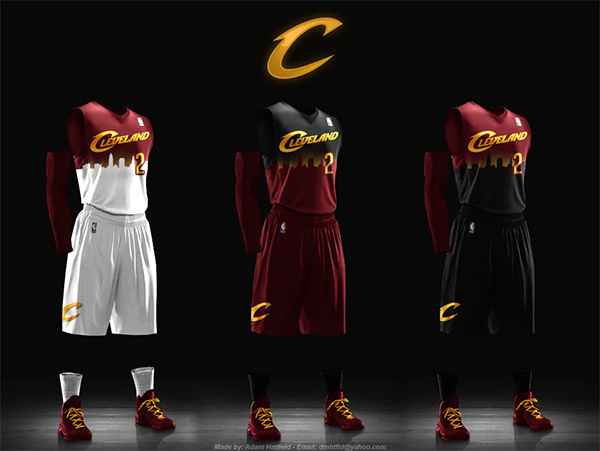 These are a fan designed concept, which features Cleveland’s skyline with a nice gradation effect in the background.